Click on image to log in. After signing on to the website, there's a number of things students can do. 1. 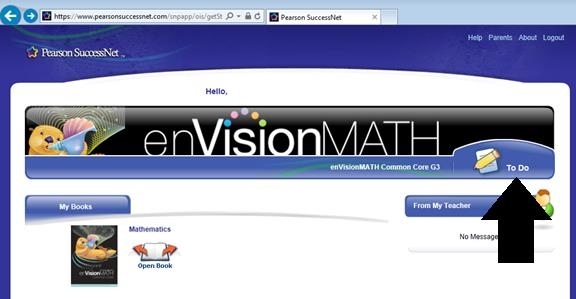 Let's talk about the digital textbook, if you ever forget your EnVision Workbook for homework, click the textbook, then click "Student Resources," double click on the topic (ex. Topic 1: Numeration), then double click on the lesson (ex. 1-1 Practice). ONLY practice pages are provided. Reteach and enrich pages are not available online. 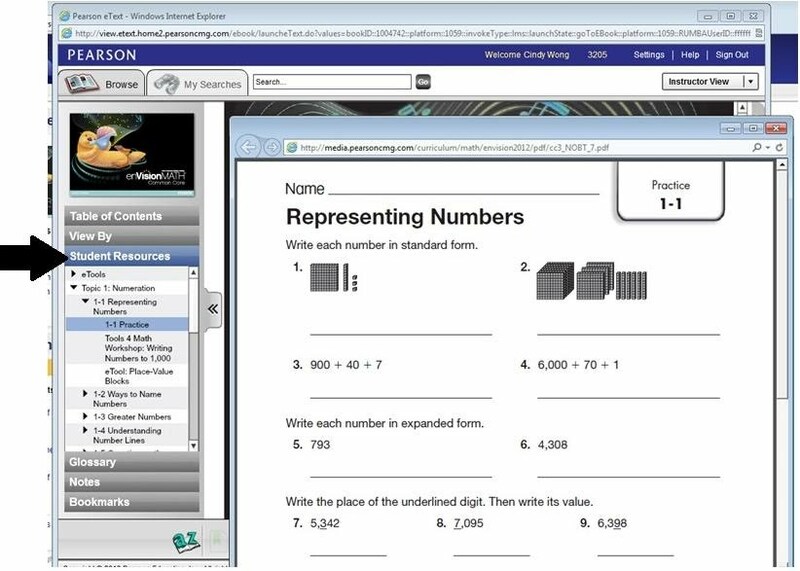 The textbook also provides eTools, which are virtual manipulatives such as base ten blocks, counters, and money for students to use. 2. 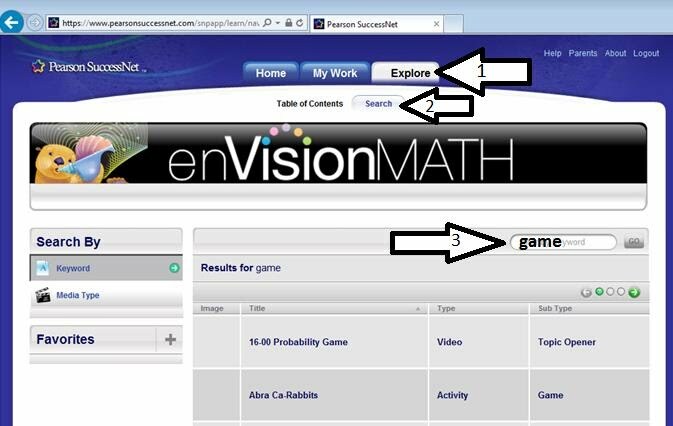 Students can also play fun math games on the site. First click on "To Do" then the tab "Explore." Then click "Search" and enter "Game" into the search bar. Click "Go" and many games will appear. Many are entertaining and the students will enjoy them.